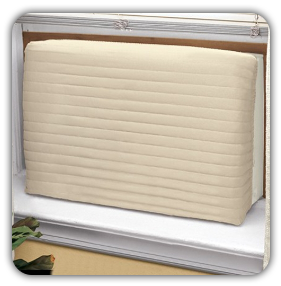 Our air conditioner covers are designed for harsh winter weather. 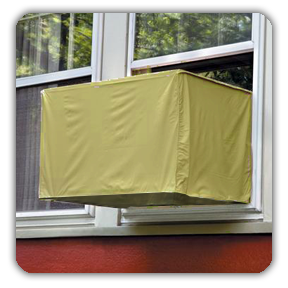 Fully protects the entire outdoor unit from snow, ice and other harsh winter elements, while allowing the outdoor unit to breathe properly which is critical. 5 year year warranties on material integrity and craftsmanship. 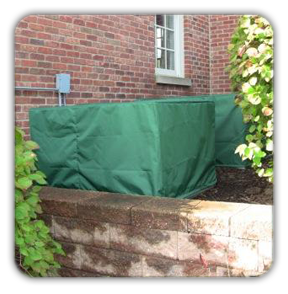 The materials we use are absolutely the highest quality, durable, long lasting professional grade air conditioner covers on the market today. We do not offer vinyl, or imported pre-packaged, light-weight poor quality pre-sized covers that do not last long.